Say goodbye to 2018 and hello to a brand new year. In Chicago, there are plenty of fun ways to celebrate New Year’s Eve, whether you’re into epic partying or more laidback entertainment options. As the Chicago area gears up to celebrate upcoming New Year’s Eve, check out the latest events and plan your day accordingly. Start your evening off with a delicious meal. Chicago is a rich culinary city with dozens of incredible restaurants to choose from. Frontier is a popular eatery to celebrate New Year’s Eve. When you grab a New Year’s Eve ticket at Frontier, you can feast on a whole smoked animal, such as a pig, boar, lamb, or goat. Your main dish is accompanied by salads and sides, as well as dessert. You can also enjoy the open bar. Another great restaurant to consider is Dusek’s. Located in the heart of Pilsen, the eatery offers guests five or seven course meals on New Year’s Eve. The dishes are prepared by Michelin-starred Chef Henry Hill, and include items such as black truffle, chestnut gnocchi, and porcini ragu. Be sure to make a reservation if you want a table. GreenRiver is another amazing spot for a New Year’s Eve meal. Enjoy multiple courses throughout the evening, such as dry-aged rohan duck breast or trout tarter parfait. The restaurant offers both five course and six course meals that include dessert. Before heading out to a New Year’s Eve party, stop by a few local bars for a drink. ROOF on theWit offers a premium open bar, as well as gambling tables and bottle service. Ada Street also offers an open bar, as well as delicious hors d’oeuvres to devour before heading to a party. Other great bars in Chicago include Esco Bar, The Rec Room, Old Town Pour House, Marshall’s Landing, and The Boundary. At the Sound-Bar, you can enjoy top-shelf drinks for just $1, as well an appetizer buffet, live entertainment, and champagne toast. 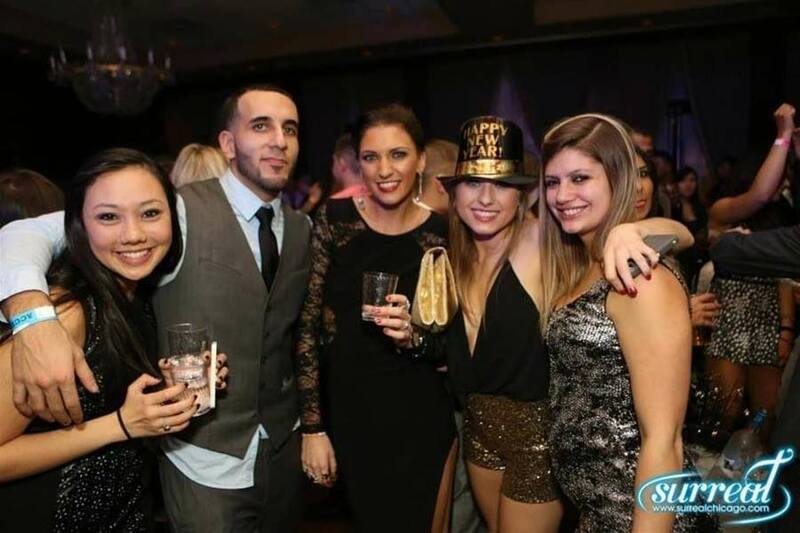 When it comes to New Year’s Eve parties in Chicago, there’s only one place you want to be. 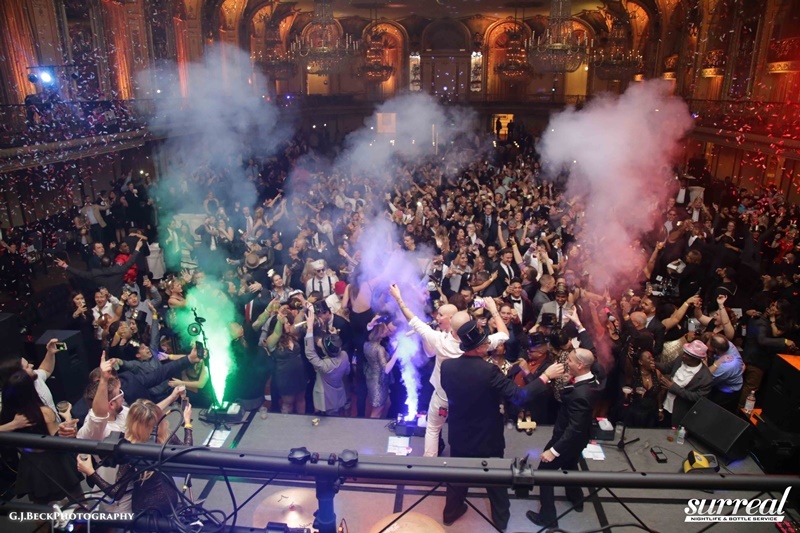 The Chicago New Year’s Eve Party at the Congress Plaza Hotel is the ultimate party spot for more than 3,000 guests. 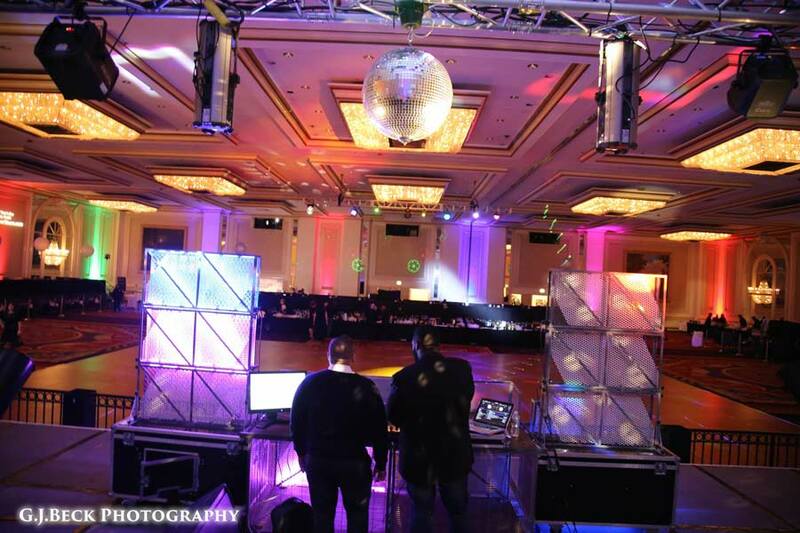 The event will host Chicago’s A-list clientele, as well as some of the city’s most recognized DJs and talents. The all-inclusive event includes a pre-party and post-party that is complimentary with your ticket price. Choose from general admission tickets or VIP tickets which get you everything that a general admission offers as well as a bunch of extra perks. 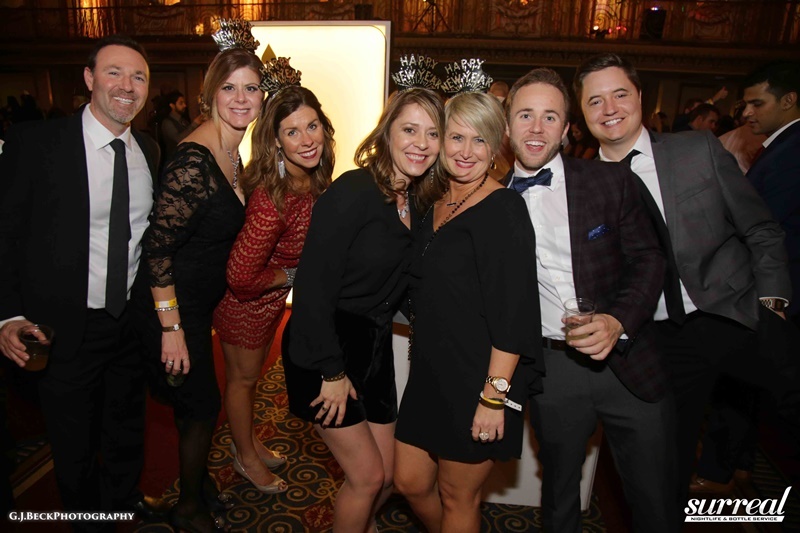 The Chicago New Year’s Eve Party at the Congress Plaza Hotel features multiple bars serving beer, liquor, wine, and champagne. With more than 50 bartenders working on NYE, lines for drinks will be minimal. You can also enjoy the food buffet and appetizers. Both beverages and food are included in the ticket price. 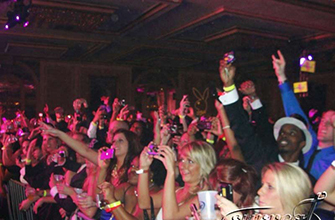 The venue features multiple rooms to explore, including several party rooms, dance floors, and VIP rooms. At midnight, you can enjoy a massive celebration featuring a fun balloon pop. Stick around after the strike of twelve for even more partying. The event doesn’t stop until 2 AM. It’s never too early to start making plans for New Year’s Eve. If you’re looking for the best place to celebrate the start of a fresh year, look no further than the Windy City. Chicago offers plenty of fun activities and events on New Year’s Eve, with one of the most popular being the Chicago New Year’s Eve Party at Congress Plaza Hotel.